Brandon and I text each other probably every other week about a game that we’d be buying if the two of us lived closer together. 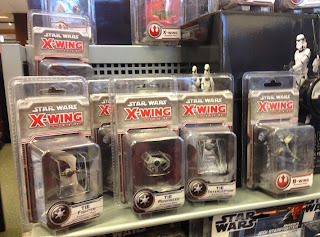 Honestly I’ve been saving a lot of money by looking at a game and saying to myself, “I don’t really have anyone near me that would want to play this.” When I was doing some Christmas shopping this Sunday I ran into a large store display of the X-Wing miniature game. I haven’t been paying much attention to the game, but the display stopped me in my tracks. The game is put out by Fantasy Flight and has really been gaining a lot of momentum lately. The game is on its third wave of expansions so there are numerous different Rebel and Imperial ships to add to your dog fights. Each expansion includes more than the ship model, it also includes things like the tokens and cards needed to use that ship in combat. I’ve watched enough people playing it at this point that I really want to jump in. I haven’t yet, but I’m pretty sure that at least the starter box will be coming home with me at some point. Of course I’m strange I don’t really want a bunch of the other ships, I’d just want to field 12 X-wings. 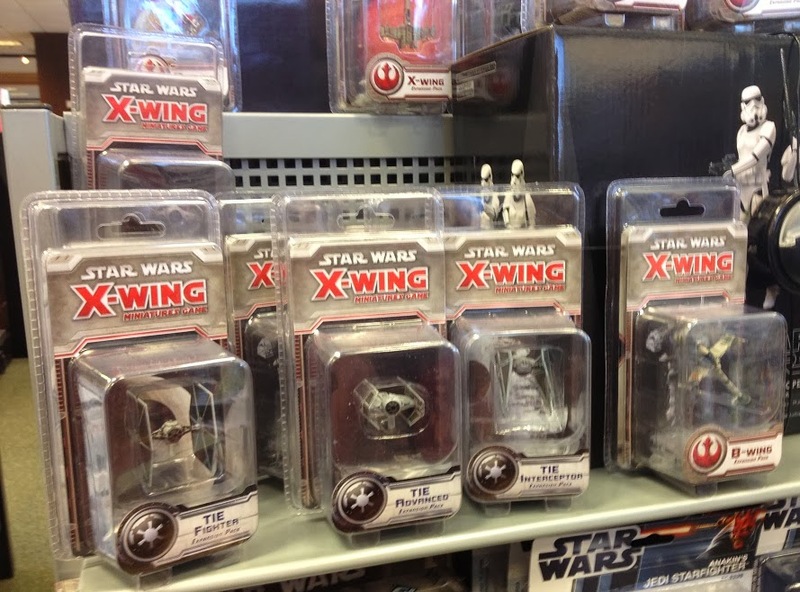 You should probably expect more updates about the X-wing miniature game in 2014.